Kerala State Film Awards 2014: Who all will make into the winners list? 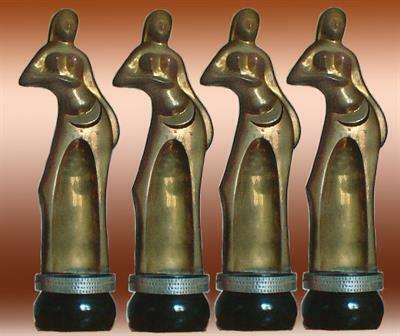 Searching for Kerala state film awards 2014 winners list? Who all will make into the winners list of Kerala state film awards 2014? The film awards will be announced by Thiruvachoor Radhakrishnan on Saturday at 10.30 AM. The jury headed by popular tamil film maker Bharathi Raja had keenly gone through the 85 movies which competed for the awards. Jayaram, Fahad Fazil and National Award winner Bharath Suraj Venjaramoodu are the contenders in the final list for Best Actor category. Just after the National Awards announcement couple of days ago, the state government is gearing up to declare the State Film Awards. Out of 158 movies released in 2013, 85 movies are competing for the awards which will be announced by Thiruvachoor Radhakrishnan on Saturday at 10.30 AM. The jury headed by popular tamil film maker Bharathi Raja had keenly watched all the movies which had been in race for the awards. Jayaram, Fahad Fazil and National Award winner Bharath Suraj Venjaramoodu are contenders in the final list for Best Actor category. Even though the movies exceeded in numbers comparing with previous years, most of them were up to the standard, according to the jury. As many movies expected to win award at the national level couldn't achieve success, the jury had to go for yet another view before finalizing the winners. In the best actor category, Jayaram has been nominated for his dazzling performance in the movies Swapaanam and Nadan. In Swapaanam, he gave life to a chenda artist while in Kamal's 'Nadan' Jayaram played a theater artist. Jayaram received applause for his grandiose performance in both the movies. Suraj Venjaramoodu, the National Award winner for best actor too has been nominated for his incredible act in the movie 'Perariyathavar'. Noted filmmaker and jury chairman Saeed Mirza appreciated Suraj for brilliantly playing the role of as a municipal sweeper who is reticent by nature. The movie which hardly had any dialogues was quite challenging for Suraj to play a role with expressions only. But with immense sincerity and dedication, he managed to give life to the character which gave him name and fame at the national level. Another contender in the final race for Best Actor at the Kerala State Film Awards is Fahad Fazil who has been nominated for his movie North 24 Kaatham. The movie directed by Anil Radhakrishnan Menon won the National Award winning movie for Best Malayalam Film. In 2012, the best actor award was bagged by Prithviraj for his acting brilliance in movies Celluloid and Ayalum Njanum Thammil. Considering the changing scenario, 33 awards were given out in various categories.